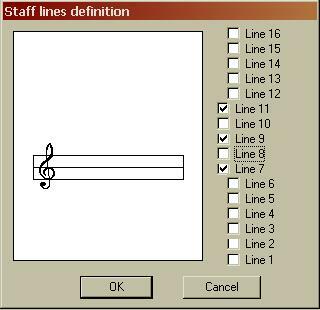 With Pizzicato music software, you can write scores for drums and percussion instruments and you can hear the sound result through the sound card or external MIDI synthesizer. Drums and percussion instruments have particularities regarding notation and the link between the score and a sound card or a MIDI synthesizer. There are two types of percussion instruments: chromatic percussion instruments with which you can play a melody (xylophone, vibes, timpani,...) and drums and percussion instruments with an undefined pitch (bass drum, cymbals, maracas,...). The first ones are written on a standard 5 lines staff. They are not a problem neither for notation nor for MIDI, because they react to the note pitch as any other instrument (you write a C, you hear a C). For the drums and percussion instruments with an undefined pitch, the situation is different. For those instruments, the idea of a "note of music" looses its melodic meaning, because a note is heard as a particular sound effect and is not associated to a real note pitch like C, D or E.
Through this dialog box, you can easily assign for instance the bass drum to the first line, the snare drum to the second line,... as you want them to be. 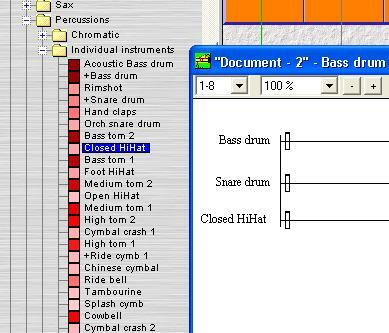 With the above Pizzicato tools, you will be able to create scores for drums and percussion. The notation may be standard or customized. With the drums maps and the prepared templates, Pizzicato will play your drums and percussion scores correctly. Pizzicato Drums and Percussion is specifically designed for music notation of drums and percussion instruments. 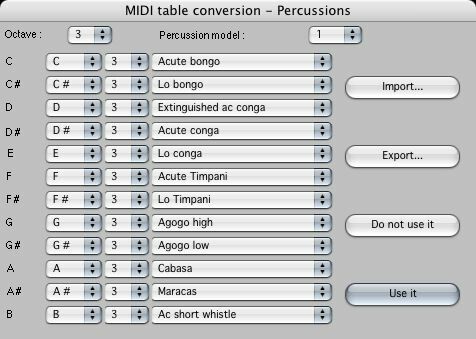 You can use up to 8 staves, each one with 1 up to 16 lines to which you can assign a percussion or drum instrument. 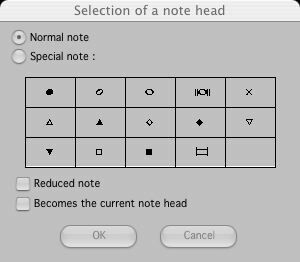 Pizzicato Notation is a full score editor that offers you all the notation features found in any other Pizzicato versions. It contains all the tools you need to write, print and listen to music scores, from the soloist to the full orchestra. Pizzicato Professional contains every function available in the 10 other versions of Pizzicato. You can use all the features for music notation as well as all the tools for intuitive music composition and combine them in the same software.